And how can they get around this risk? On occasion, process servers run into trouble while doing their job. One of the most common issues they face is trespassing. People who are being served papers are more liable to call the police to report that a process server is trespassing on their private property. 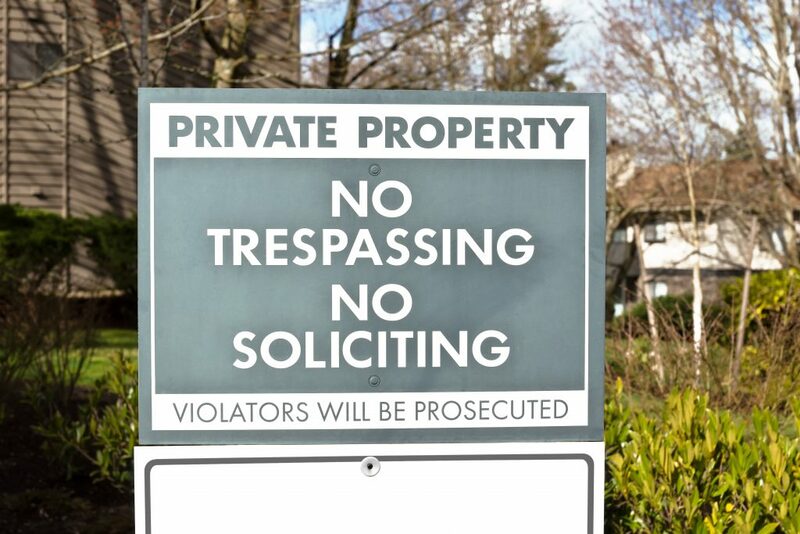 There are a few things a process server can do to avoid legal trouble as a result of trespassing. Many areas have different provisions and definitions of what trespassing is. Check in with local statutes and lawyers to find out whether there are any exceptions to local laws. Doing some research is an ideal practice anyone serving papers should do. Each case is different. Before setting out to serve papers, it is important to assess the property where the person receiving papers lives. Is the community gated? Is there a no trespassing sign? Even if there is not, you can be verbally ordered to leave and be accused of trespassing if you are dealing with the wrong person. Be guarded and assess every situation before heading to serve papers. Because of this, serving at a different location may be ideal. Rather than taking a risk serving at their home where a process server may get into trouble for trespassing, serve in a public space such as a shopping mall or their place of employment, where trespassing risks are minimal. Many areas now have process server associations that help the servers to stay up to date with legislation and regulations as they are updated. By joining a state association, the risk of being charged with trespassing is reduced. If you serve your own papers and are charged with trespassing, look for a lawyer as soon as you can for advice.